We tell you about our favorite products and give tips on using them. Spring is in the air, and I'm ready for something bright and cheery! bit of color around the house. 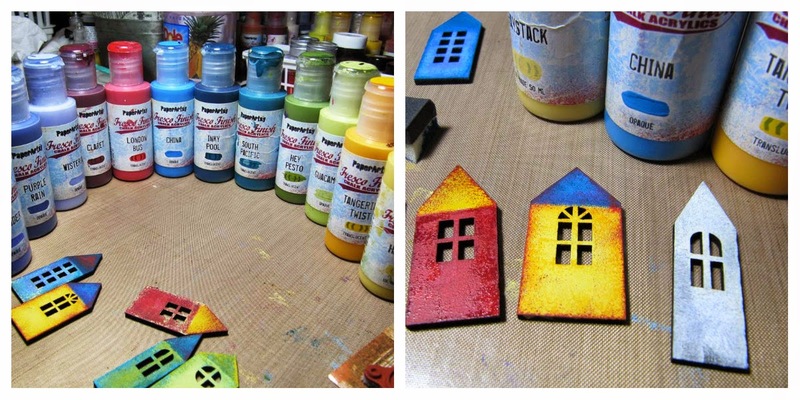 I used Fresco Paints and a foam square to add paint after I'd base coated them with Heavy White Gesso. The bases are stamped with the gorgeous detail stamp. I used "Art is good for you" on the stem of the Heart, and the butterflies are from "Rust to Dust" and "Don't Forget to Fly." Drill a hole in the wings, and add a jump ring and a charm for a dangling bit of interest. You can use any charms here, and more than 2 would be really fun. You can see the stamp along the stick here. I used a piece of jewelry wire and created a wrap leaving about 4 inches on the top end. Add Glass Beads of any color and make into a loop. Wrap the remaining wire around the charm loop. This shows a better picture of the beaded loop. 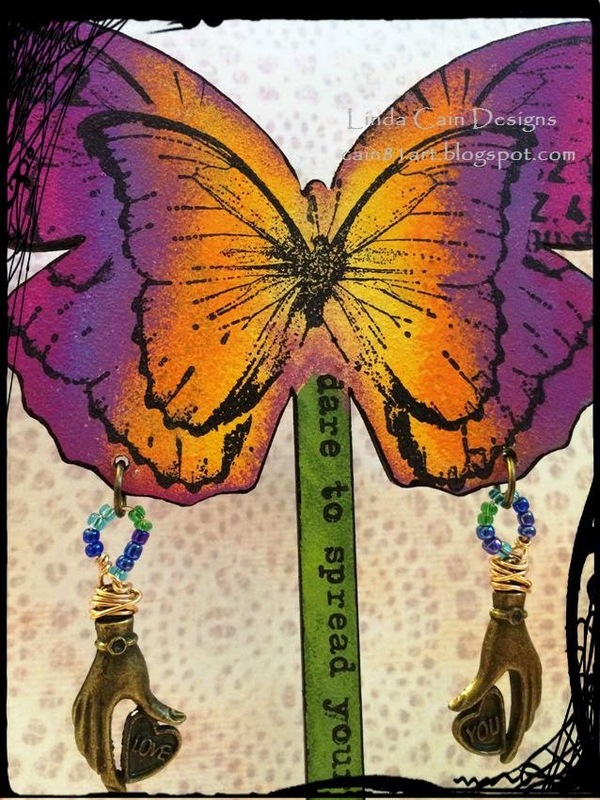 You can stamp one butterfly in the middle and add more wings over a mask of your original. 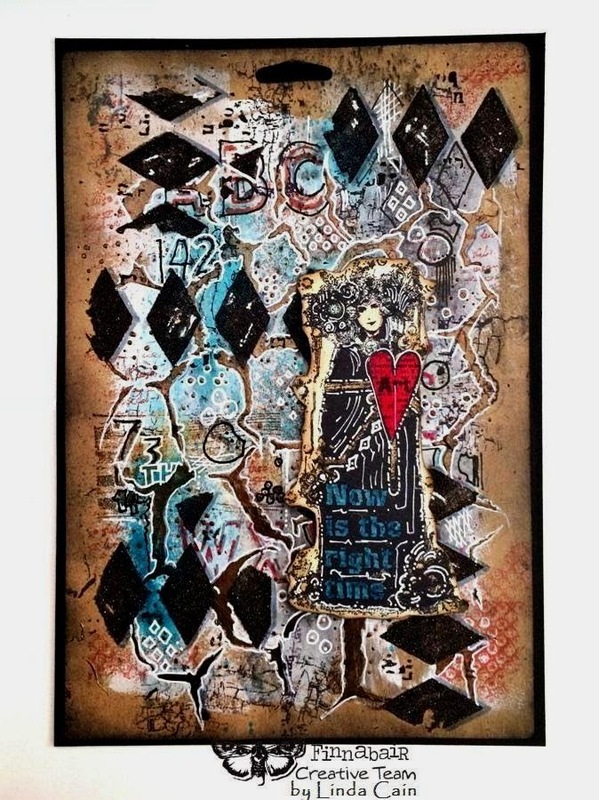 I used a Chipboard Butterfly on the front of this heart with lots of pen doodles all over the piece. The leaves are carved, but I added some more white veins as well with the pen. 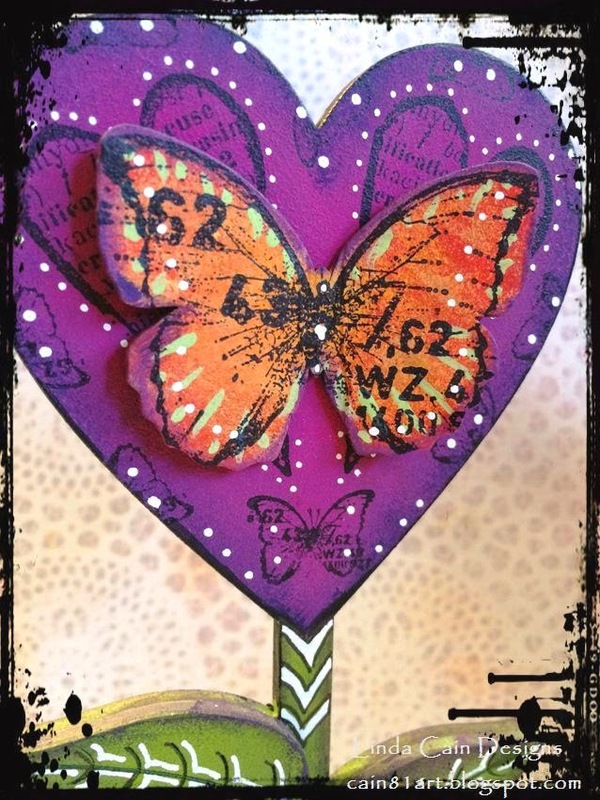 I love the Heart and Tiny Butterfly stamped here. Add the little Paper Flowers to the base for a bit more color, some white and black paint doodles, and glue it together. I think this would brighten-up anyone's day! And yes, these colors are just this bright....Bougainvillea and Lavender create a real splash together with just a pinch of Eggplant! I've yet to do a journal page for the team, and you know I love to create pages. This is somewhat like a page, but it starts with some upcycled material. 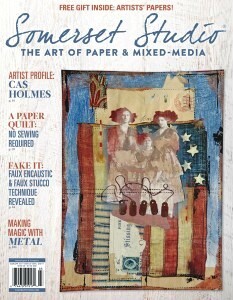 These great pieces of kraft colored paper are from the packaging of the stencils from Finnabair and Prima. I just could not throw them away, so here they become our base for this project. Begin by giving one of them a random layer of Heavy White Gesso with a wide brush. Don't completely cover the areas. I thought the hanging cutout was interesting, so I left it on, but cut off the folded top piece. Next I mixed up a bit of 3D Gloss Gel and the fabulous Rust Mica Powder. You will LOVE this color. 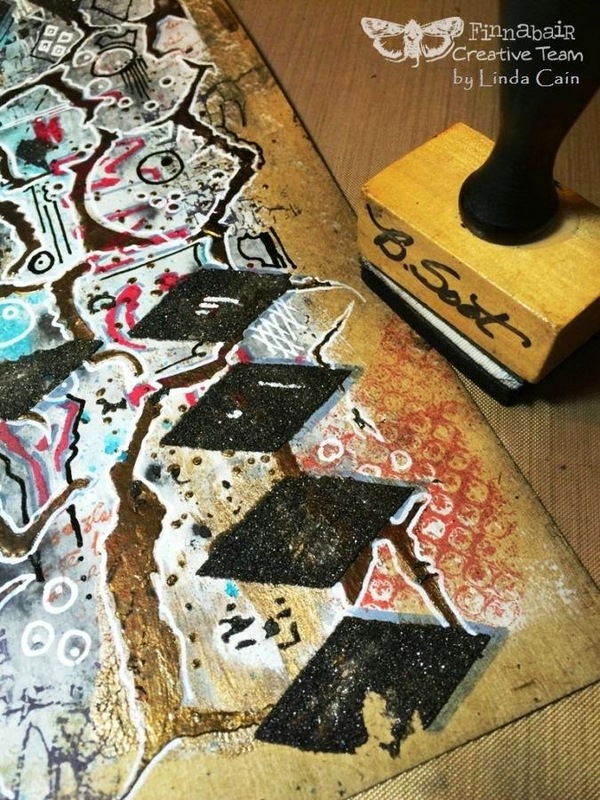 Then add it to your piece using the Cobblestone Stencil. See how shiny this color turns out. I used 2 different "reds" to add letters with the Alpha Stencil. One is with ink and one is an acrylic paint. 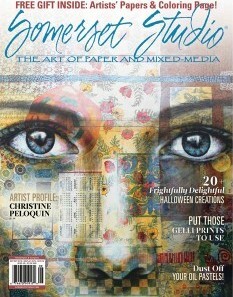 Then the really, really cool Graphite Texture Paste is used with the Harlequin Stencil. 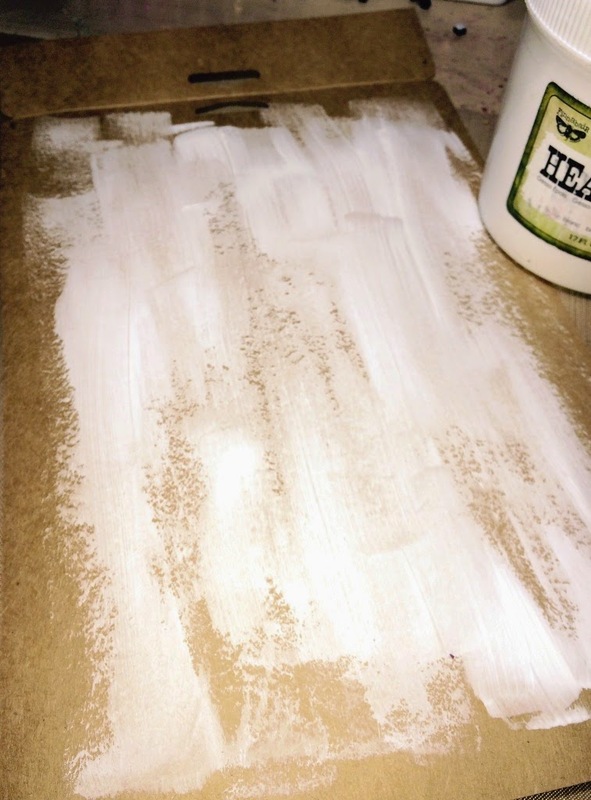 This stuff looks soooooo much different when it dries, you'll be amazed! 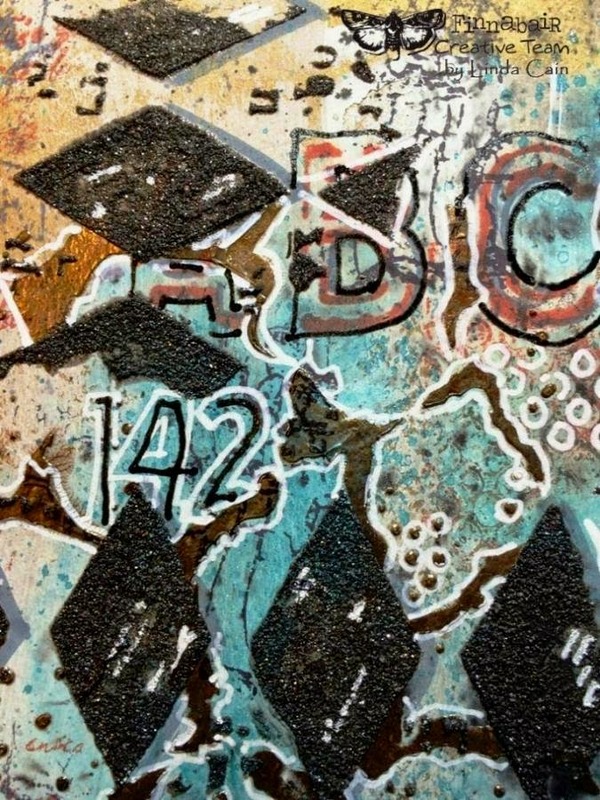 I added some archival inks using the Messy and Crackle Clear Stamps. 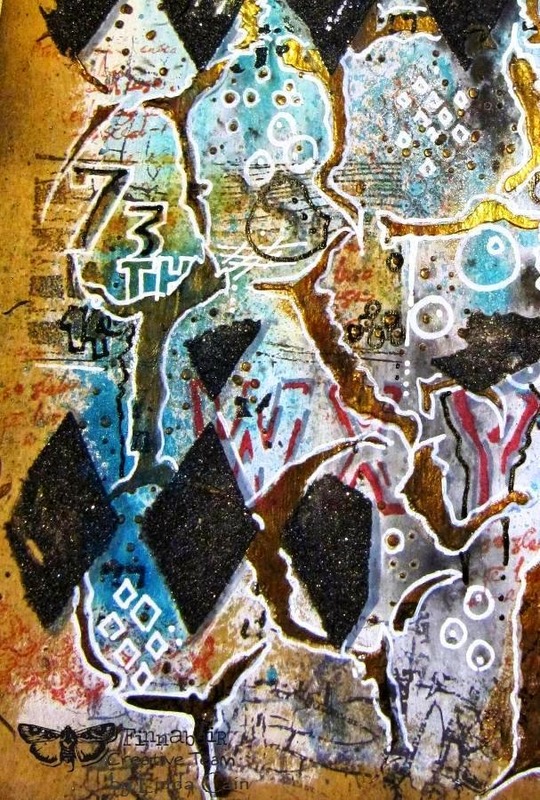 Then a lot of pen-work layers and some turquoise and black sprayed paints. Spritz with water to get them to move and dilute. I wanted lots of contrast so I outlined several areas with the white pen and added shading to others. See how the Texture Paste has sparkles in it?!?! I also create different areas of interest with white free-hand doodles. This is the red ink stenciling. It wasn't as bold as I wanted, so I outlined it with a black gel pen. I loved all the areas of the paper's edges and didn't want to trim them down, so I used Distress Inks, browns and black soot, for more color. 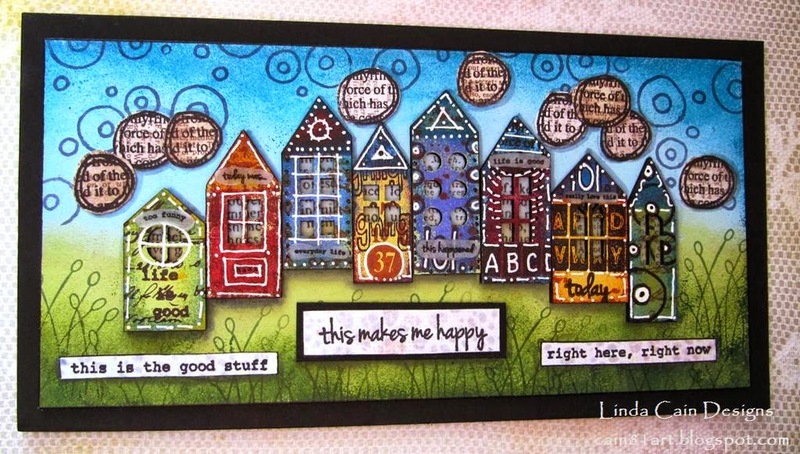 The Rust and Dust and Old Town Cling Stamp sets are wonderful for creating the rolled stamped areas in the background. 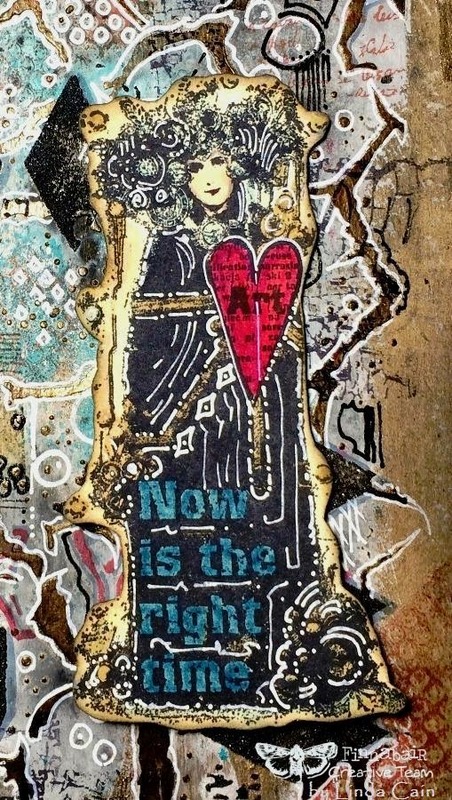 I hated to cover this all up, but I thought a focal point would add interest, so I stamped the Now is the Right Time lady onto manila cardstock and fussy cut it out. Using Tombow pens I added a bright heart and words, but very muted color to the rest of the image. Distress Inks were added to the image and edges. White pen doodles decorate the black areas of the image. 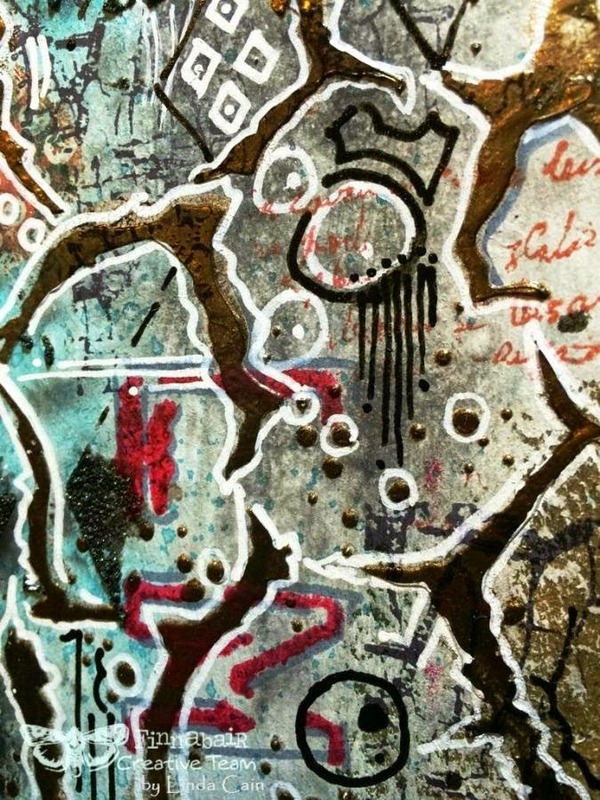 I layered it onto chipboard, and glued to the page. To flatten the whole thing out I cut a piece of plain chipboard painted black, and layered it on with scor-tape. I am really loving the new Mica Powders in the Gloss Gel. The colors are AMAZING! The new Stencils are perfect for Journal pages, and I cannot say enough about the Graphite Texture Paste. I was so excited to see how it dried!!! 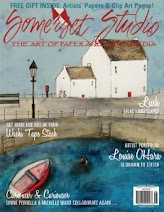 So the message here is if you love the packaging paper, don't throw it away, create something with it! 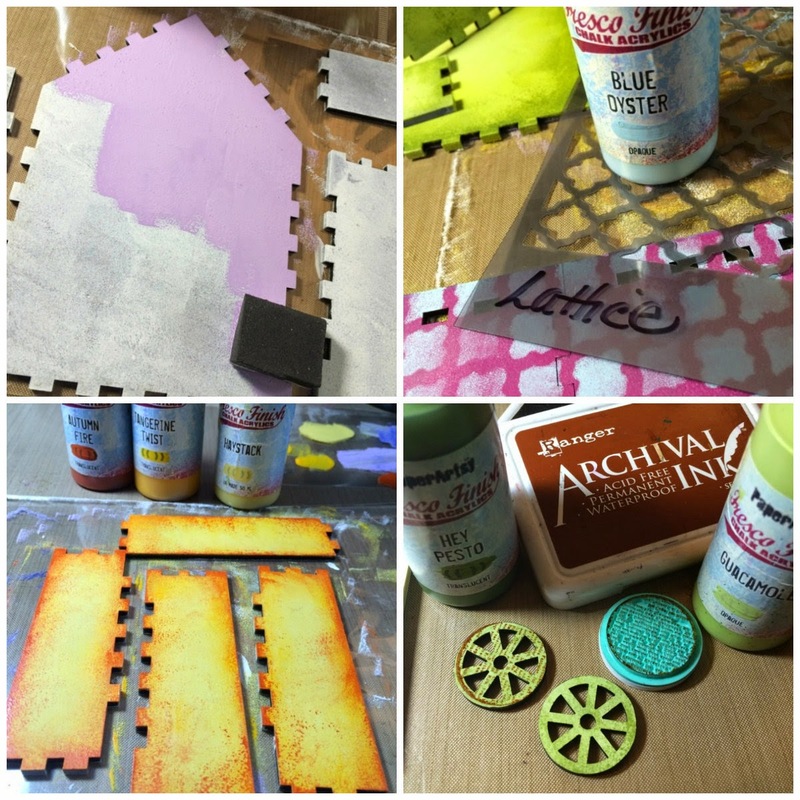 You can practice your stenciling or stamping without feeling like you need an expensive substrate. Maybe they'll just turn out great!!! 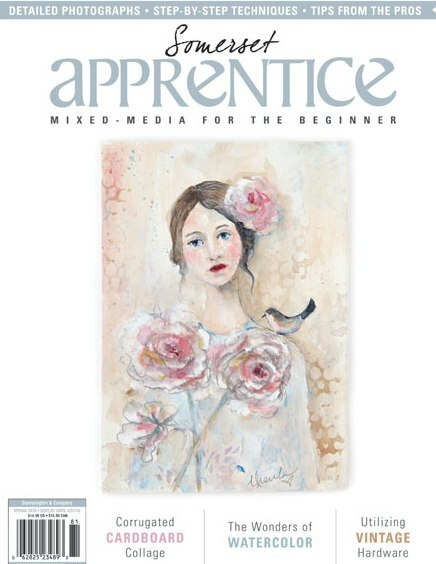 Mixed Media Place and your local stores. 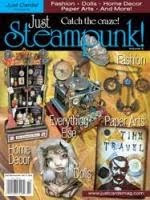 AND there's still time to get in on Finnabair's latest GiveAway on Facebook!!! Anyone who knows me is aware of my love of HOUSES. It's a journaling stamp set, but I wanted to take it to a different direction. And the new colors of Fresco Paint are to die for!!! They were perfect for this bright and sassy little creation. Retro Cafe Art Gallery. Aren't they cute??? 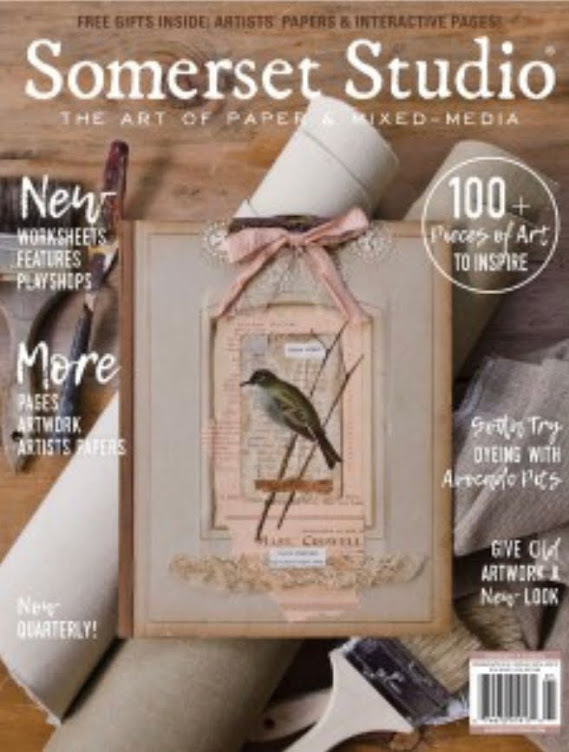 Our theme for this time period is Miniature Art, so I you need to jump over there to see the full details on stamps and products. This is a small detail using some of the GORGEOUS new paints...Bougainvillea, Purple Rain, Tangerine....OOOOH! So bright and cheerful! I loved Emma's phrases and used "this makes me happy" centered for the theme. The smaller ones on the side of the title tell it like it is..."this is the good stuff" and "right her, right now". 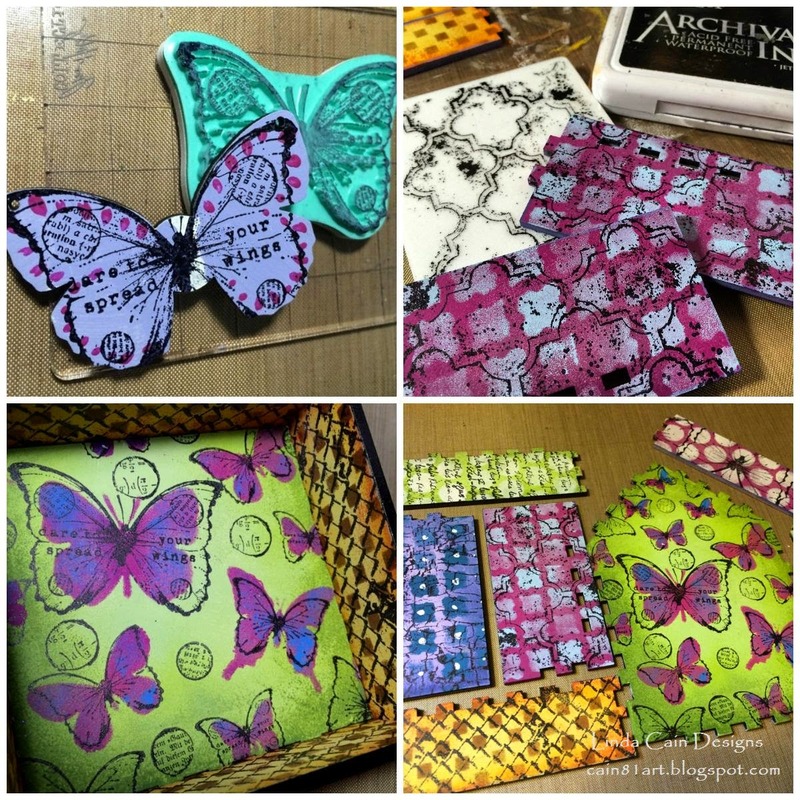 There's a Challenge going on and you can join over at PaperArtsy. 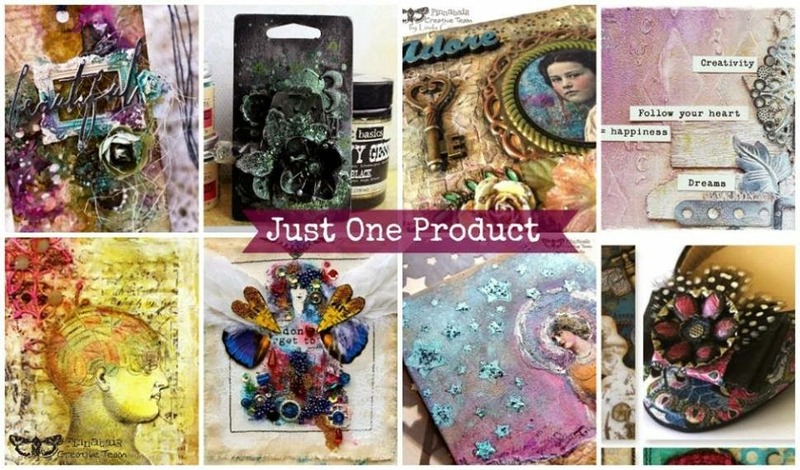 ALL new PaperArtsy products are available NOW from your favorite PaperArtsy supplier. 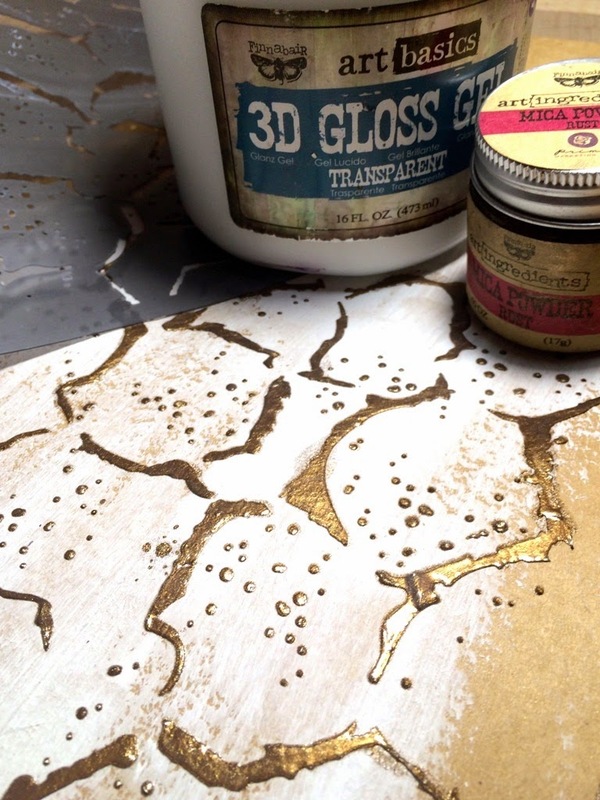 There's nothing like stamping of Fresco Paints...they are truly my favorite to work with. 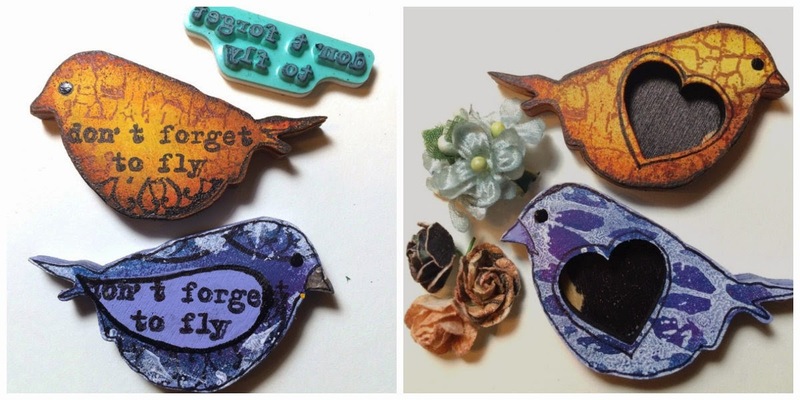 I started with the Bird Trinket Keepsakes. They come 2 in a package. 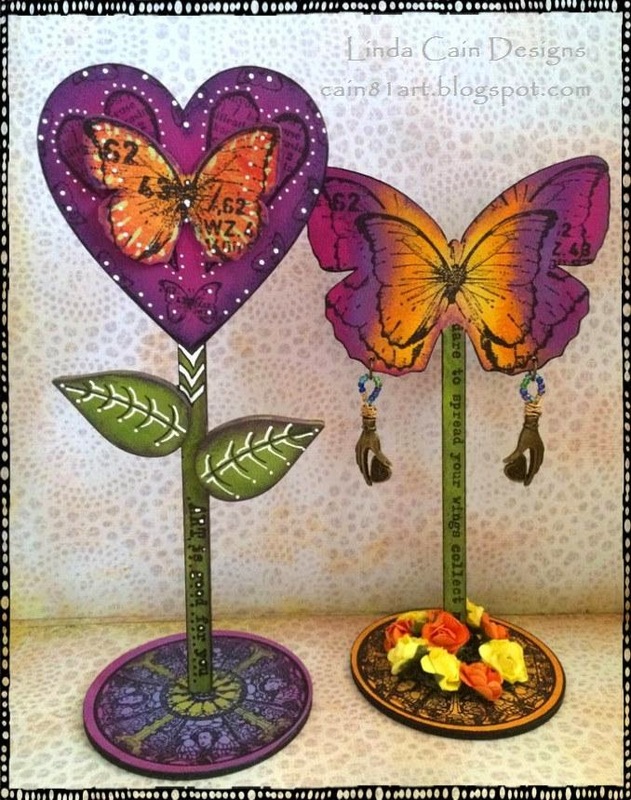 I painted them with several Fresco Paints and stamped with inks and paint. I always base coat with Snowflake Fresco and then add colors. Last come the stenciling and stamped images. 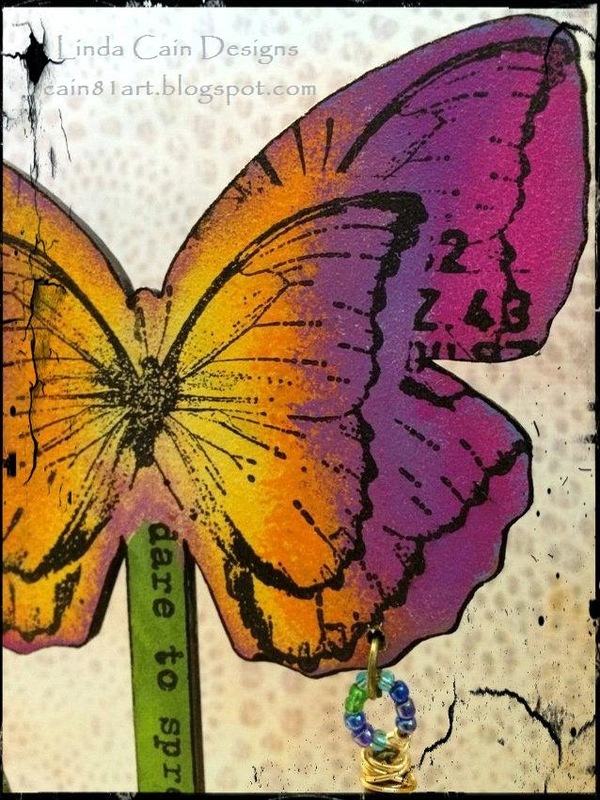 The butterflies were stenciled on first with Bougainvillea and China Fresco paints, and then stamped images were added last. All the stamps are from Finnabair. Some are Cling and the smaller detail stamps are Clear Stamps. This shows some inside and outside images. Then they're glued together with a small amount of white glue. I think the Birds on Wheels were really cute. I added flowers with sprays and Art Sugar to the trinket cutouts. The Butterfly had holes drilled and was hung with screw eyes and wire. The little Roses cover up the ends of the screws. I made rather rough little birds from Paper Clay and painted with some bright new Fresco paints. The back is stamped and painted with Finnabair Cling Stamps. I added little Crowns an Hearts from the Bird Trinkets to stabilize the Birds. The Tags are pleading for Spring! Hope you enjoy this and are inspired to make something bright and cheery to warm you up! And as always, let me know what you think!!! 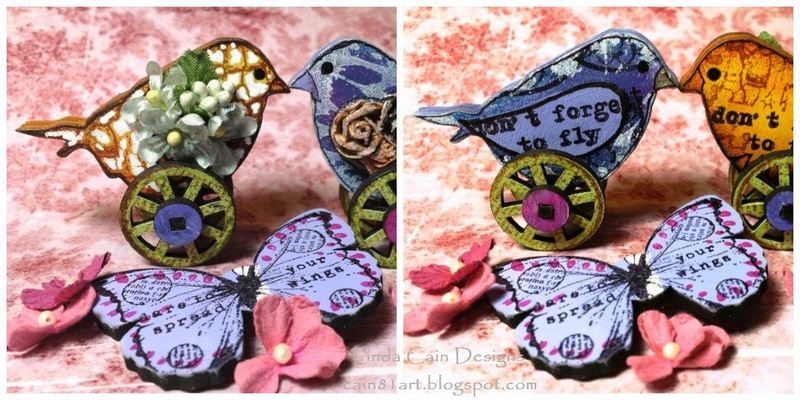 Finnabair Cling Mount Stamp Sets - Tea on Deck, Old Town, Rust and Dust, Trust the Magic, and Don't Forget to Fly. 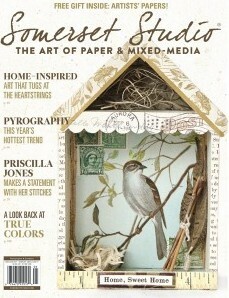 Paper Artsy Fresco Paints - Check out the wonderful new colors!